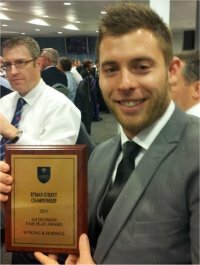 At the recent Surrey Championship Awards Dinner, WHCC were delighted to receive the Surrey Championship 3rd Division Fair Play Award for the 1st XI. This is the second time in three seasons that WHCC has won the award but this year was all the more special as the 1st XI’s fair play score for the year was the highest of any 1st XI in the whole Surrey Championship. Testament to a great spirited team, led by Damien Honey to play competitive cricket in the right way. Cost: £36 - same as last year! 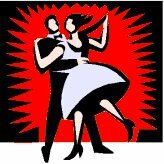 The WHCC Cricket Ball will be held at Sutton Green Golf Club on Saturday 16 November. The price for the evening is £36 which is the same as previous years. For those that haven't been before the evening consists of a three course dinner followed by a disco. The bar will be open 7:00pm - 12.30am. The dress code is black tie or lounge suit. W&H are proud to announce that club coach John Matthews, has been recognised for outstanding services to grassroots cricket. 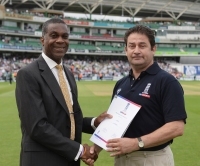 John was presented a special coaching certificate by former West Indies player Michael Holding during the 5th Investec Ashes Test Match against Australia at The Kia Oval on Thursday, 22nd August. John was given the exclusive opportunity to attend the Test Match as part of the Sky Sports ECB Coach Education programme. Twelve coaches met with Holding during the tea break at The Kia Oval, all of whom were being acknowledged by the programme’s ‘Reward and Recognition’ scheme. Over one hundred coaches from across the country will be recognised during the 2013 season, which comprises of a series of on-pitch presentations throughout the summer by various cricket legends and the Sky Sports broadcast team. Matthews has been volunteering as a coach at Woking and Horsell Cricket Club for ten years, managing the current U17's since they were U10s. He manages the team, coaches the boys on and off the pitch, umpires and scores, and has also been responsible for introducing the Level One coaching course to many of the colts who now coach the younger players. A huge congratulations to W&H's Saul Allison who was recently selected to represent the England Deaf team touring in South Africa. Saul and his team mates began their international campaign successfully this week with a commanding 60 run win over South Africa in their first ODI on Wednesday. We wish him and the rest of the team the best of luck for the remainder of the tour. You can find out more at the ECAD website. Our Club Chairman Peter Smith has omnce again appeared on Brooklands Radio to discuss the club and it's future. You can listen again to the interview at the Brooklands Radio website.